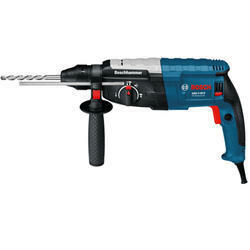 We are a leading Wholesale Trader of bosch gbh 5-40 dce professional rotary hammer, bosch professional rotary hammer, bosch rotary hammer and bosch gbh 8-45 dv professional rotary hammer from Navi Mumbai, India. Owing to our rich experience and knowledge of this domain, we have been able to supply and trade the finest quality of Rotary Hammer. 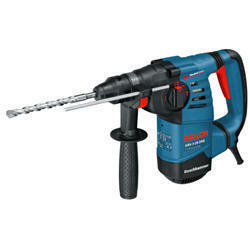 Procured from the trusted vendors of the industry, the rotary hammer is known for its high-torque motor. In addition to this, the offered rotary hammer is highly appreciated among our clients for its powerful hammer mechanism. By supplying and trading the best quality of Professional Rotary Hammer, we believe in making a permanent association with our clients. 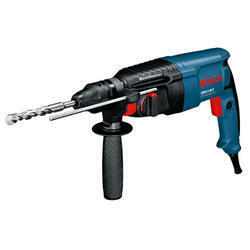 The offered hammer is known for its excellent energy efficiency. To meet the precise needs of ever-changing market trends, we offer this electric demolition hammer in various specifications. 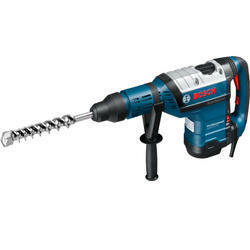 By supplying and trading the best quality of Bosch Rotary Hammer we believe in making a permanent association with our clients. 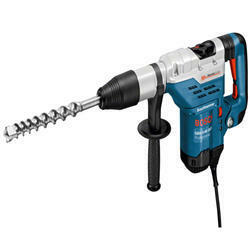 The offered hammer is known for its excellent energy efficiency. 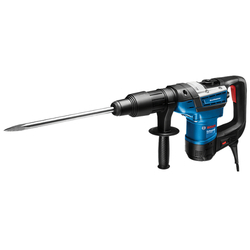 To meet the precise needs of ever-changing market trends, we offer this electric demolition hammer in various specifications.